June 15, 2017, 3:52 p.m. Whenever fierce rivals join forces, it&apos;s usually because they&apos;ve found peace and reached equilibrium. That, or a new, scarier competitor with the potential to ruin everyone just entered the room. The latter scenario seems to be playing out in the US financial industry, as several of the nation&apos;s largest banks — JPMorgan Chase, Bank of America, Wells Fargo, US Bancorp — have teamed up to launch a new payments network called Zelle, which allows millions of customers to instantly send money to each other via their smartphone. 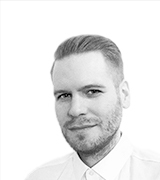 The idea, of course, is to challenge the increasingly popular mobile payments app Venmo. As the race to capture the mobile payments market heats up, a future cashless society seems more likely every day. Indeed, a new YouGov report, titled "Cashing in: US," shows that 35% of US adults predict that America will become a cashless nation within 20 years. The report, however, also highlights many barriers to reaching that cashless state. First, 72% of Americans still use cash when making in-store purchases. Six in 10 say they use cash at least once per week. Habits like that take time to change. Fear of the unknown and concerns over security pose more obstacles. The report, for example, shows that the majority of US consumers (56%) feel using mobile payments makes them vulnerable to fraud and theft. 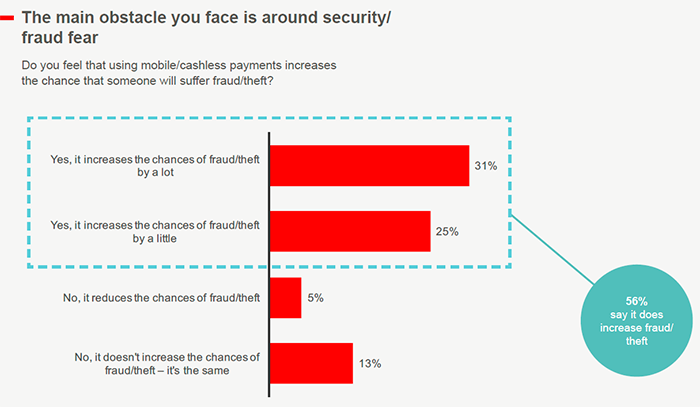 Only 5% think mobile payments reduce the chance of fraud and theft, while 13% say it makes no difference. Additional numbers find that about one in five US adults who aren&apos;t using mobile payment apps avoid them because they&apos;re concerned about malware steaing their personal information. A similar amount worry about the added consequences that come from losing their device or having it stolen. 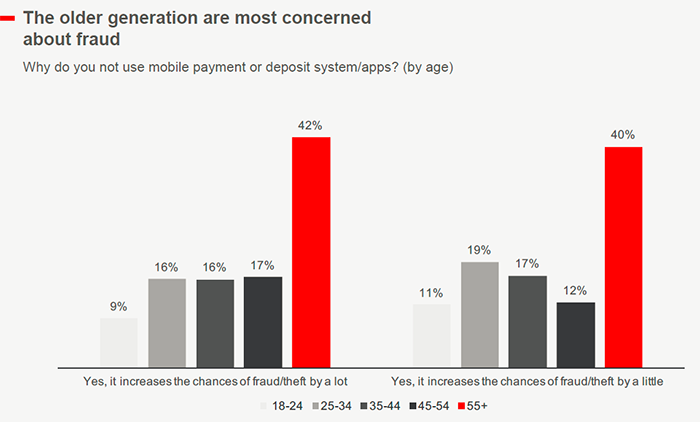 At the same time, however, the report also notes that people 55 years old or older make up the bulk of those concerned about mobile payments increasing the chances of fraud or theft. The data suggests that younger generations are less concerned. In Reuters, Bill Wallace, head of digital at JPMorgan Chase, is quoted as saying the following: "By coming together to offer Zelle, we are providing a large majority of Americans with a safe, fast and easy way to move money." If mobile payments providers hope to bring about the so-called cashless society sometime soon, the data indicates they&apos;ll have to put more emphasis on the word safe when addressing the public. To view the full YouGov Report, titled "Cashing in: US," please click here.